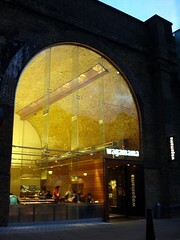 Canteen-style noodle place on Bankside, near London Bridge, part of a chain. See Category Wagamama for an explanation of the concept, and further comments that apply to all branches. Last edited 2016-04-04 18:31:07 (version 5; diff). List all versions. Page last edited 2016-04-04 18:31:07 (version 5).